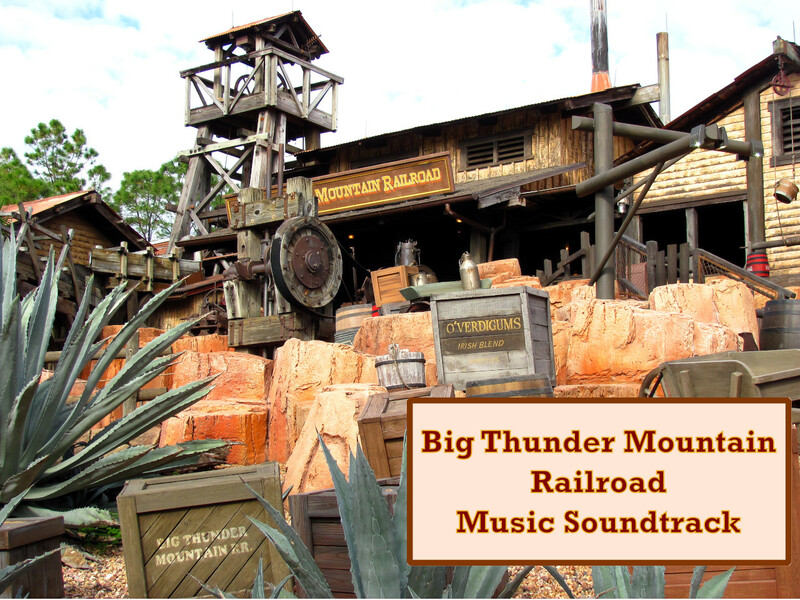 On this page our team provides a gallery of the Big Thunder Mountain Railroad pictures. 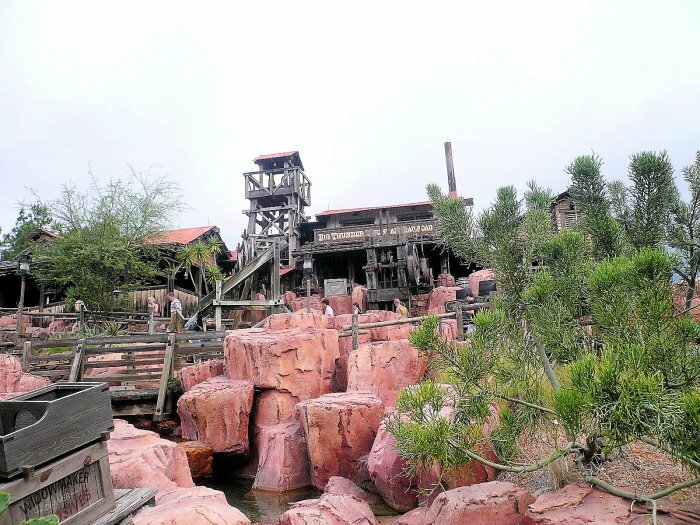 Also covered in this article is information the Big Thunder Mountain Railroad camera and where it is located (if there is one). All of the information in this article is for the roller coaster in Frontierland at the Magic Kingdom, Walt Disney World Resort, Bay Lake, Florida. 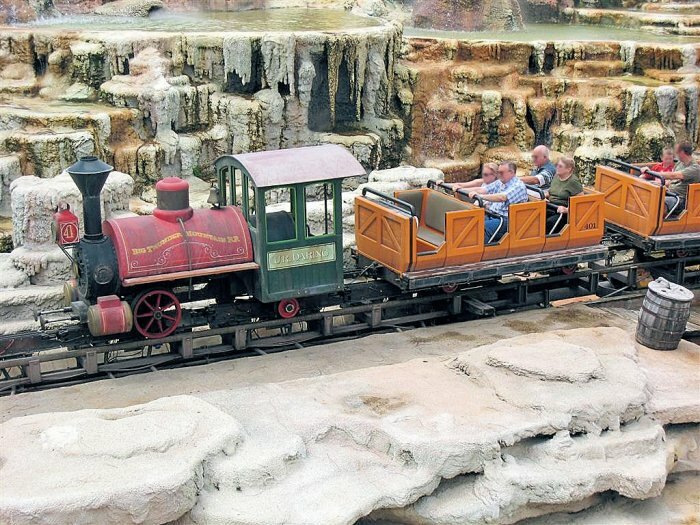 Does Big Thunder Mountain Railroad have a camera? No, there is no on ride camera for the ride. 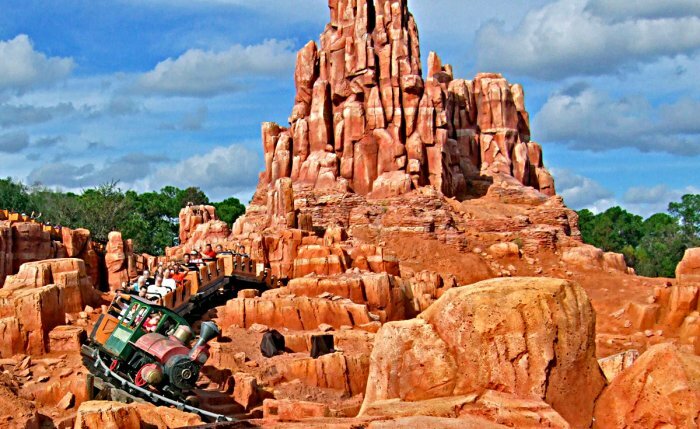 A Big Thunder Mountain Railroad camera does not exist and is one of the popular rides that does not have a camera to take pictures of guests on the ride. However, there are likely ride cameras that Walt Disney World uses to monitor the ride when it is in operation. Below are some of the photos for Big Thunder Mountain Railroad that we use on the site. These photos showcase the front entrance of the ride, the line / queue, and the exterior of the ride. All of the photos here can be found on our various pages that are about the ride. In addition, videos of the ride are also posted on the other pages about the attraction. Our queue/line and backwards page has videos of the ride. 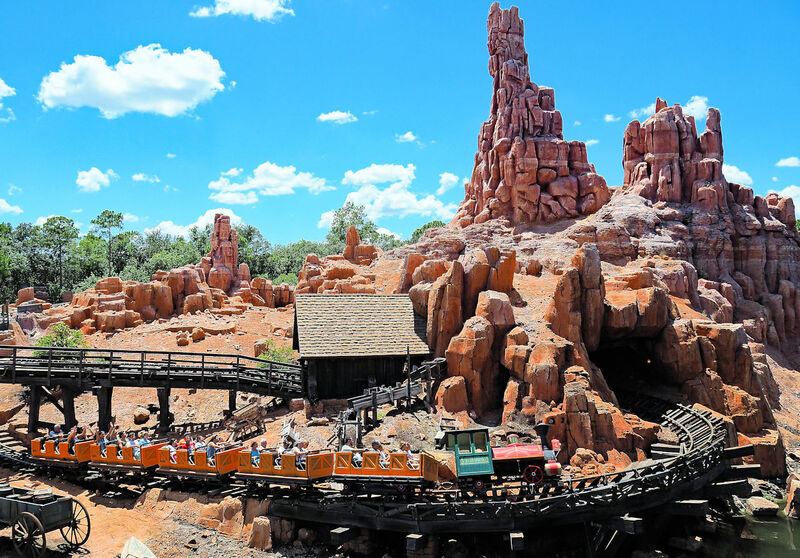 Above is a photo of Big Thunder Mountain Railroad at Walt Disney World's Magic Kingdom. The picture features the train in motion as it rounds a turn. The original photo is by AmaryllisGardener on Wikimedia Commons. The version on this page was modified by NavFile. Photo is released under a Creative Commons License. 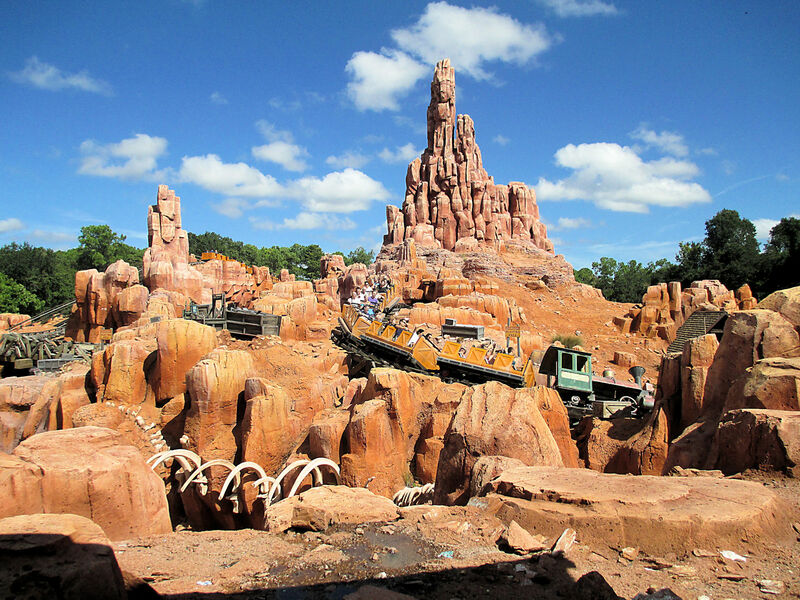 Above photo of a Big Thunder Mountain Railroad Train (U.R. Darling) at Walt Disney World Resort's Magic Kingdom by Michael Lowin on Wikimedia Commons. Photo modified by NavFile. The train photo is released under a Creative Commons Attribution-Share Alike 3.0 Unported license. Above picture of Big Thunder Mountain Railroad’s Train and Train Cars with seats by Bobby Bokista on Flickr and Wikimedia Commons. Modified by NavFile. The photo is released under a Creative Commons Attribution-Share Alike 2.0 Generic License. 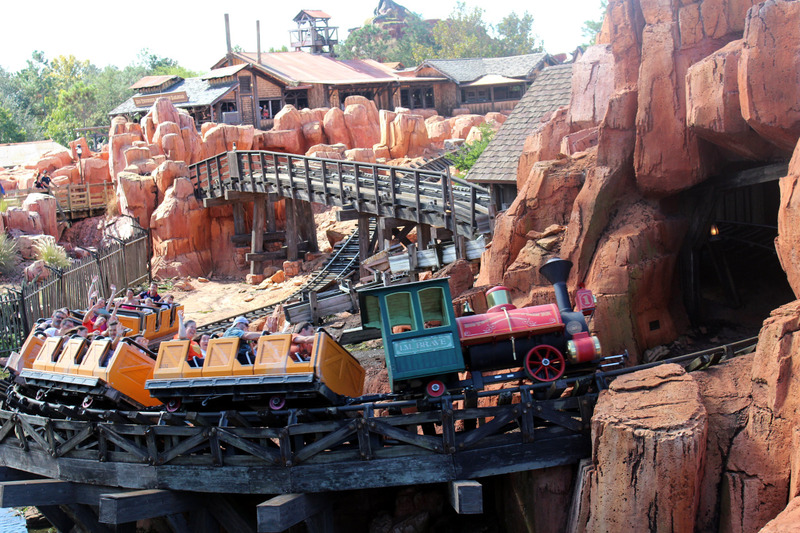 Above is a photo of Big Thunder Mountain Railroad operating at Walt Disney World's Magic Kingdom in Florida. Original photo by Frank Phillips on Flickr. The above photo was modified by NavFile. Photo is released under a Creative Commons Attribution 2.0 Generic License. 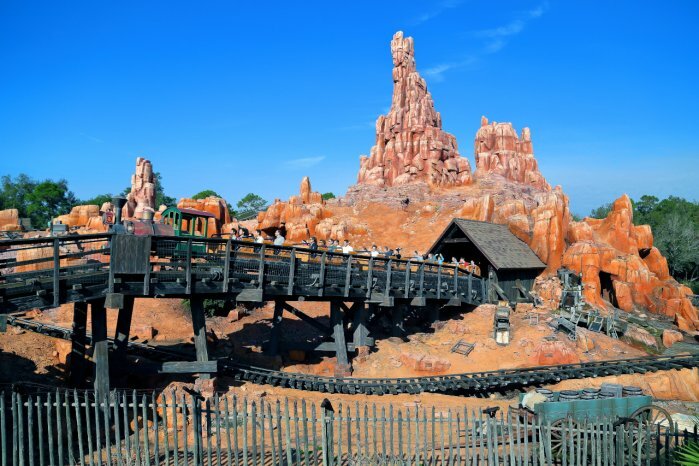 Above Big Thunder Mountain Railroad Line or Queue area photo at Walt Disney World by Michael Gray on Flickr. Photo has been enhansed by NavFile. The photo is released under a Creative Commons License. Above is a photo of the Big Thunder Mountain Railroad Sign on top of the main building for the ride. The photo was originally by Theme Park Tourist on Flickr. Photo modified and cropped by NavFile and is released under a Creative Commons Attribution 2.0 Generic License. Above is a photo of a Big Thunder Mining Co. Sign for the roller coaster. The photo was originally by Theme Park Tourist on Flickr. Photo modified and cropped by NavFile and is released under a Creative Commons Attribution 2.0 Generic License. 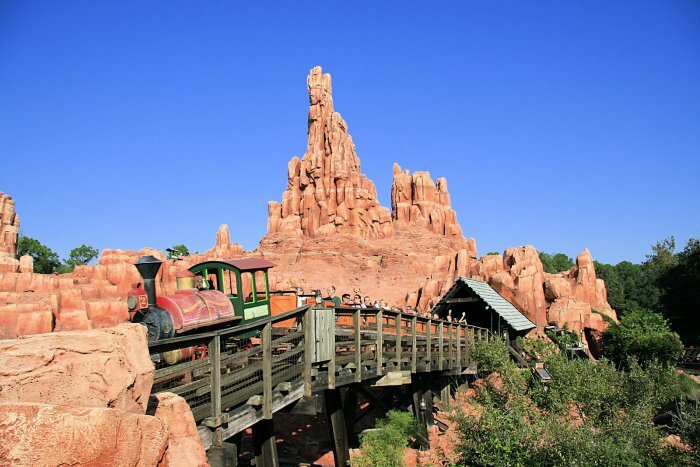 Above Big Thunder Mountain Railroad Front Seat, Back Seat and Train photo originally by Theme Park Tourist on Flickr. Photo modified by NavFile. The photo is released under a Creative Commons Attribution 2.0 Generic License. Above Big Thunder Mountain Railroad Construction originally by Theme Park Tourist on Flickr and Wikimedia Commons. Photo cropped and modified by NavFile. The photo is released under a Creative Commons Attribution 2.0 Generic License. That wraps it up for information on the pictures and camera for Big Thunder Mountain Railroad at Walt Disney World’s Magic Kingdom in Frontierland. To learn more about the ride please visit the other pages about the attraction that are here on the site. They are linked in the menu.